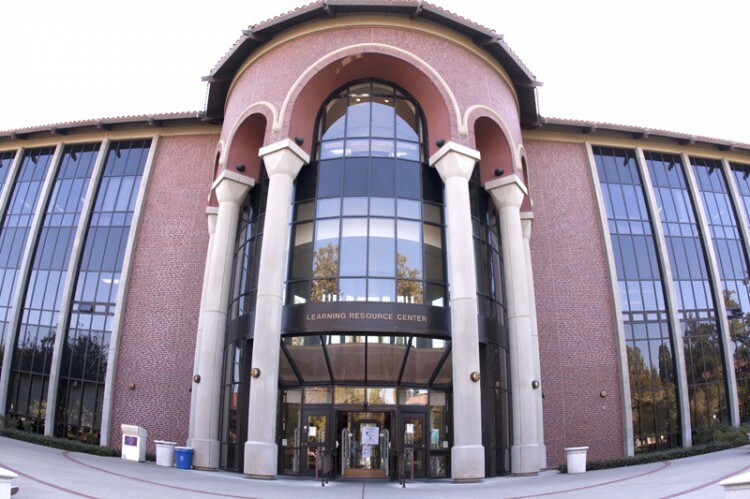 Sac City College’s Learning Resource Center. Photo by Evan E. Duran. 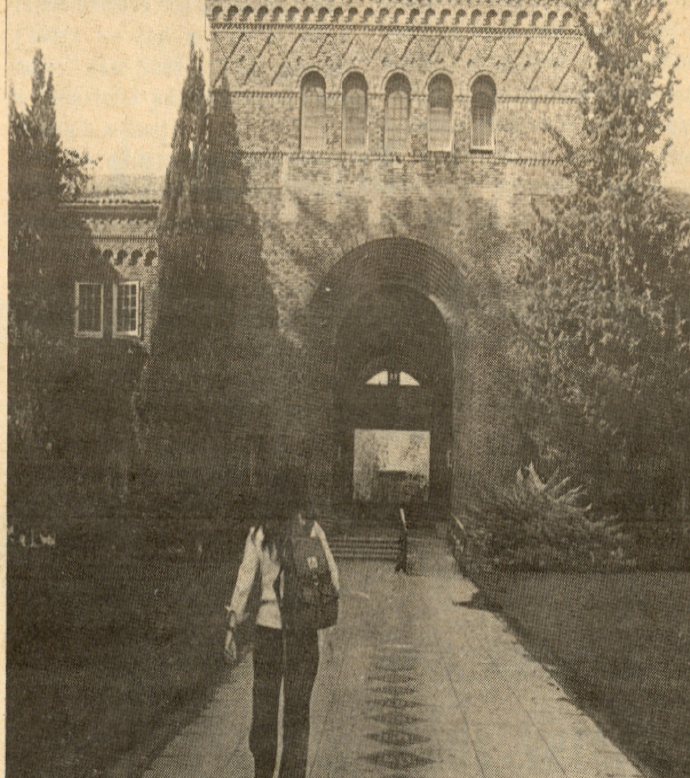 Since moving from Sacramento High School to its current location in 1926, students at City College have seen buildings, structures, and landmarks come and go. The school is rich with history and its functionality continues to grow each year. Although there are many amazing landmarks on campus, most students pass them by everyday with a passing glance and without a single thought about their history. Did you know that the observatory in Rodda South and Hughes stadium have something in common? Ever wonder if that snarling panther by the book store was always there or why there is a huge water tower so close to campus? For those answers and more, here is a guide to various City College landmarks and what makes them so interesting. One of the most intriguing landmarks on campus is the City College panther, which stands in a ferocious stance near the College Store. While the big cat may seem like a staple of the campus’ culture, it hasn’t always been a part of the school. In fact, it was only installed three years ago, in 2008 when the Associated Student Government dedicated it to the school. 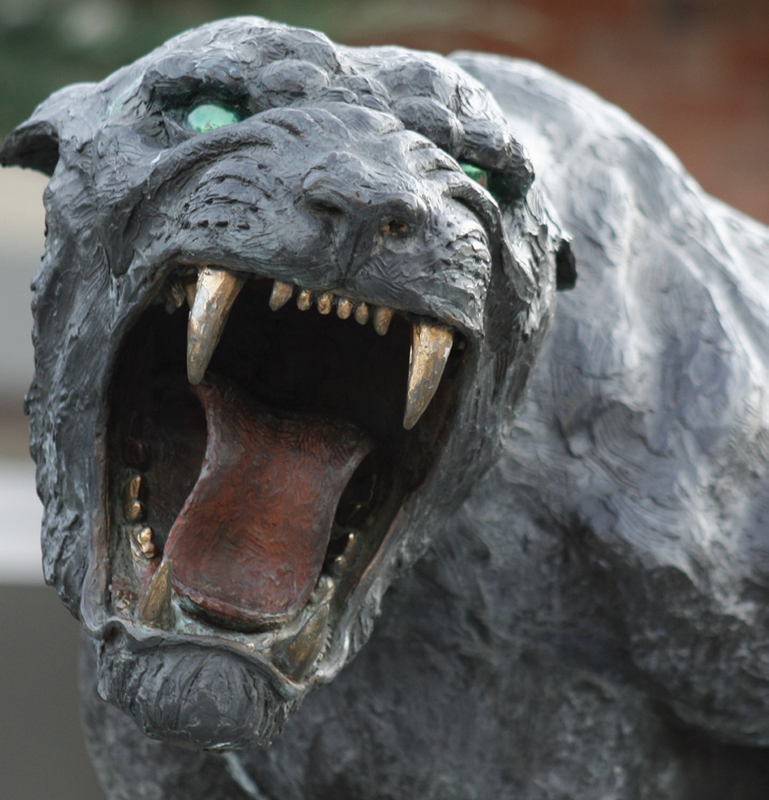 The panther was chosen as the school’s mascot in 1926, the same year the school was built, according to the Blotter, City College’s newspaper at the time. Only 68 students voted on the choice of mascot and the panther won with 41 votes. Other options: Yellow Jackets, Pioneers, and Gold Bugs. Despite a Pony Express college newspaper 1964 report that the school was considering a statue to represent the mascot, it would take 44 years for it to finally become a part of the campus. Today, the panther represents school spirit as it stands outside the College Store. Many students on campus probably don’t know that City College has an observatory on the roof of the Rodda South building. The City College observatory was designed in the ‘30s by student Henry Hughes. Photo courtesy of the City College Archives. 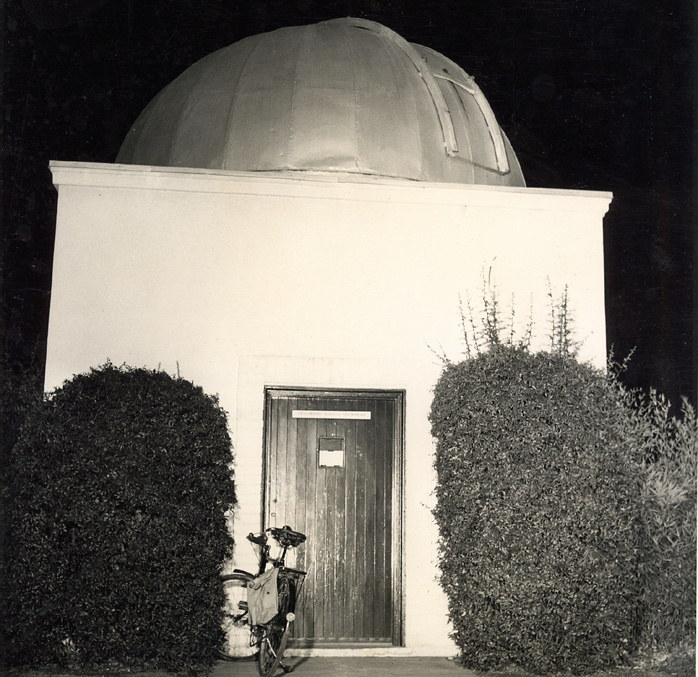 South location in 1976, City College has had an observatory on campus since the late 1930s. Plans for the first observatory can be traced back to then Junior College student Henry Hughes, son of Charles Hughes. According to a 1961 Sacramento Bee article, Henry and his friends in the Astronomy Club planned to build the campus observatory themselves because the school had no money to pay for it. Using scrap lumber and donations of everything from metal to the telescope itself, by 1937, the observatory was up and running. The school began teaching astronomy classes and the first image was taken with the telescope on Dec. 2, 1937. 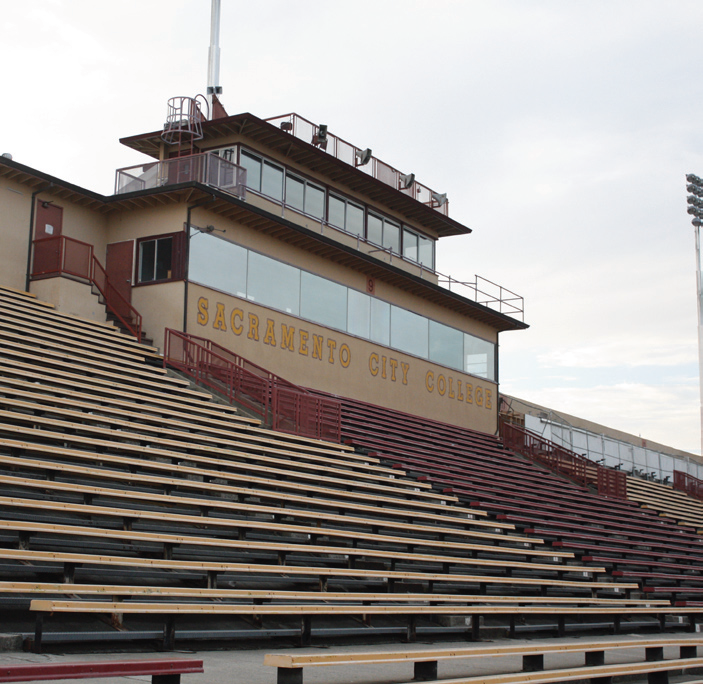 Hughes Stadium was originally called Sacramento Stadium with construction completed in 1928. The stadium was renamed in 1944 after Charles Hughes, longtime superintendent of Sacramento City School District, which owned the stadium by 1942. In Feb. 1975, the stadium was almost torn down because of a violation of the Field Act, which according to the California Legislature said that school buildings had to be structurally safe from earthquake damage. The Los Rios Community College District, which controlled City College by 1964, acquired Hughes Stadium from the district and saved it from being demolished by rehabilitating the stadium at the cost of approximately $3,000,000. The stadium’s pop culture history is diverse. In 1976, 24,000 people packed into Hughes Stadium for a concert featuring the Eagles, Jimmy Buffett and Linda Ronstadt. Over the years, the stadium has also played host to Olympic trial games, and musical acts, such as the Doobie Brothers, Peter Frampton, Rod Stewart and Pink Floyd.Pink Floyd’s April 18, 1988 show marked the last time a pop music act ever performed at Hughes Stadium. The stadium is currently going through four-phases, $10 million renovation expected to be complete by Sept. 2012 that will upgrade seating, locker rooms, the field and make the stadium better accessible to people with disabilities. The ongoing time capsule markers, pictured here in the early days of the college. Photo courtesy of the City College Archives. 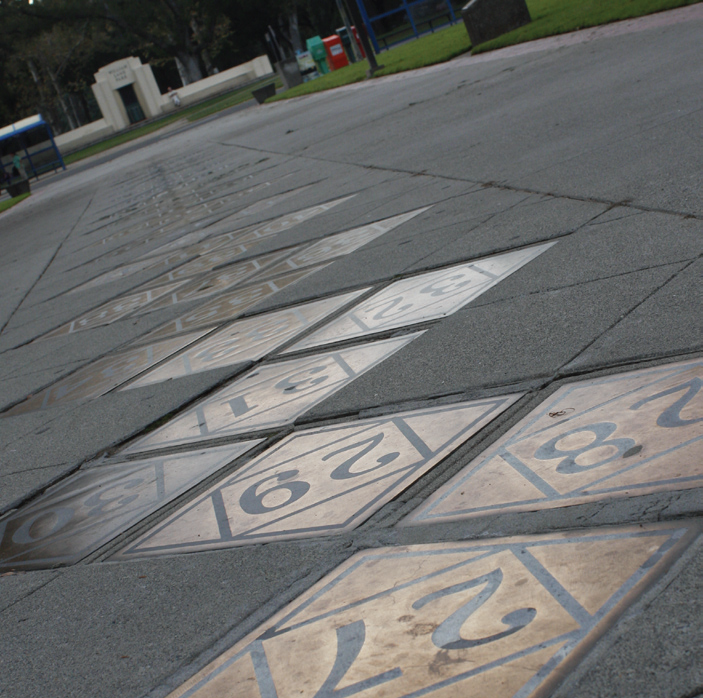 Along the sidewalk path between the Rodda buildings lays a staggered pattern of brass and copper covered plaques, each one engraved with a corresponding school year. These are more than simple plaques, however, they’re actually time capsules. The tradition dates back to the inaugural days of City College, when the walkway led to the campus’s first administration building and according to The Blotter, the former college newspaper, was a popular freshman hazing site. During World War II, the copper and bronze plaque material was substituted with concrete, due to the military’s need of precious metals during wartime. The time capsules, mostly contain notable tokens from each class and school year. The time capsules included local newspapers, programs from City College events, letters from the Associated Student Government president and college president, copies of campus publications, brochures, census reports, class schedules and other related material, though personal messages are discouraged. Time capsule plaques are placed every other year, according to the Dean of Operations Gregory Hayman. Each time capsule will be opened after 100 years. A colossus structure towers over the City College campus, though it is actually off campus. Day in and day out, students pass it by, and undoubtedly, take it for granted even though it’s a historic City College landmark. The grey colored cement structure is the City College Reservoir and rivals both the parking lot and Hugh’s Stadium in height, though neither in visual prominence. According to Jessica Hess, a media and communications specialist with the Sacramento Department of Utilities, it’s designed to old 3,000,000 gallons of water on any given day. 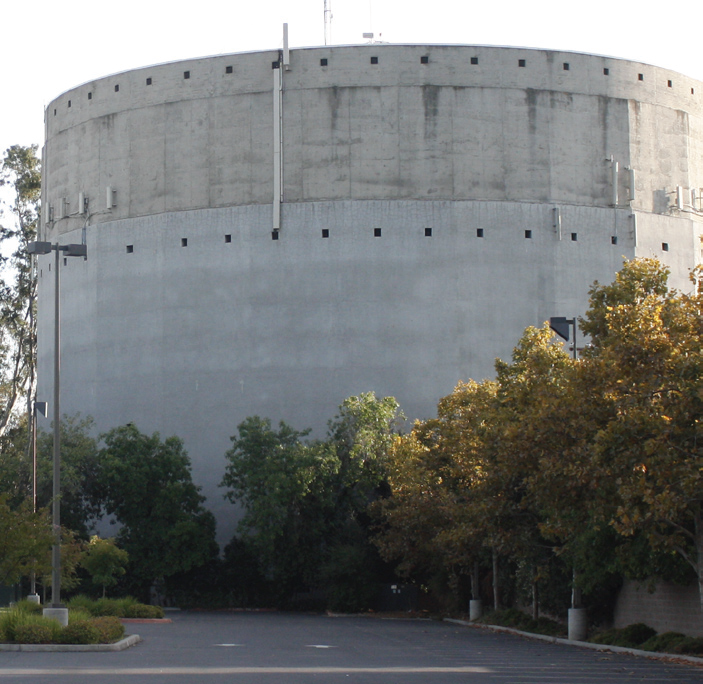 The reservoir was built in 1936 to supply the surrounding area, including: William Land Park, Curtis Park, adjacent residential neighborhoods, and City College. The water comes mainly from the Sacramento River and other local rivers, though some also comes from ground water. During WWII, the reservoir was camouflaged in olive drab patterns reminiscent of the U.S. woodland camouflage style, as were all city reservoirs at the time, according to Hess. Written in collaboration with Christopher Geanakos, Editor-in-Chief of Mainline Magazine (Fall 2011). All photos by Rebecca Walker unless otherwise stated. This entry was posted in Features, Mainline and tagged archives, Express, Greg Hayman, Hughes Stadium, landmarks, mainline, panthers, reservoir, Sac City College. Bookmark the permalink.